YouTube Gaming, which is Google’s take on a Twitch-like live-streamed gaming experience, launches tomorrow, August 26, according to Gamespot. 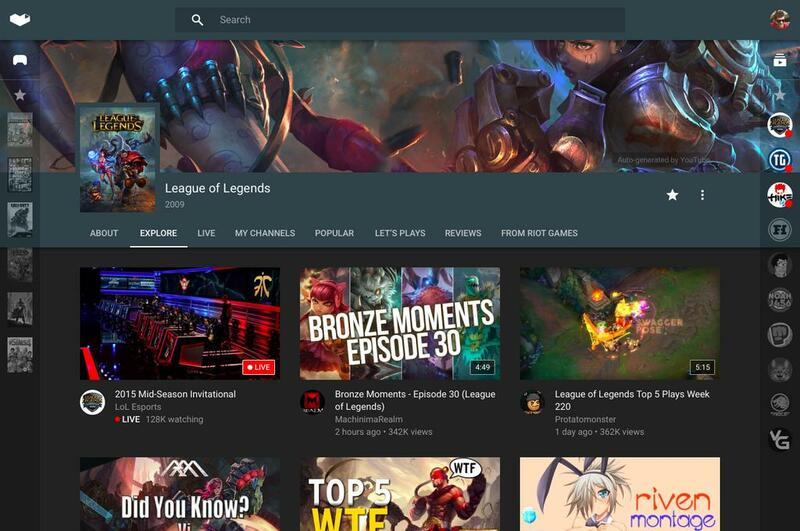 With the service, users will find more than 25,000 dedicated game pages to keep up with, support videos, and of course, live streams from your favorite gamers. At launch, YouTube Gaming should have both web and mobile applications available, so that you can feed that gaming addiction from anywhere. As Gamespot notes, users will be able to add specific games to a collection and can subscribe to game channels or users, with notifications the minute a live stream starts. YouTube Gaming was first announced back in June, with a “summer” launch said to be the plan. We are still in the middle of the summer, so I’d say Google and YouTube came correct. Excited for YouTube Gaming or are you too involved in Twitch to switch?